Who was Peg Stull? So many descriptions would fit! 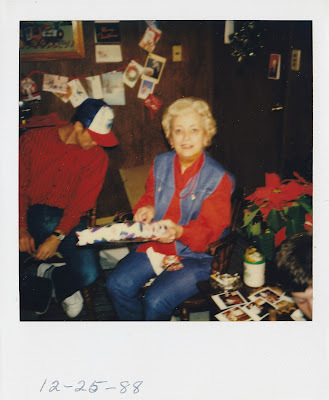 To me, she was a vivacious, mischievous, loving Aunt. Her zest for life, her independent and fun-loving attitude stand out when I reflect on her. One prominent part of her being was how she was always ready to pass along her experience and help you to learn about anything she might be able to share. Of course, she was so prominently a loving daughter, sister, wife, mother, aunt and friend. Her husband, Jim, left this life 28 years earlier. Their home was always open to all members of the extended family. 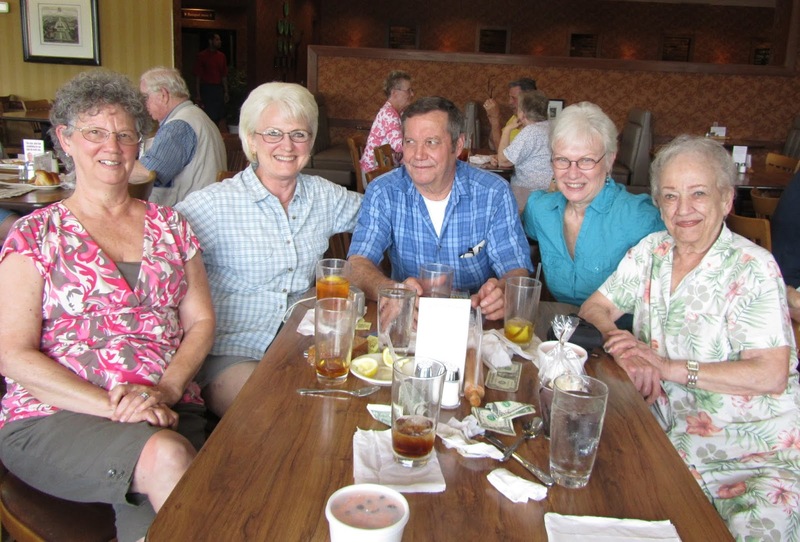 Peg never missed a beat as a loving mother to Mary Anne, Rosie and Jimmy and also enjoying her life with all the spouses, grandchildren, nieces, nephews, siblings, neighbors and friends who were fortunate to gather happy memories that will last forever. What a complete life she lived! There were travels, building a family and home, a career as a bookkeeper, sewing projects, volunteer activities and all the fun times with friends and family that kept her involved and active. 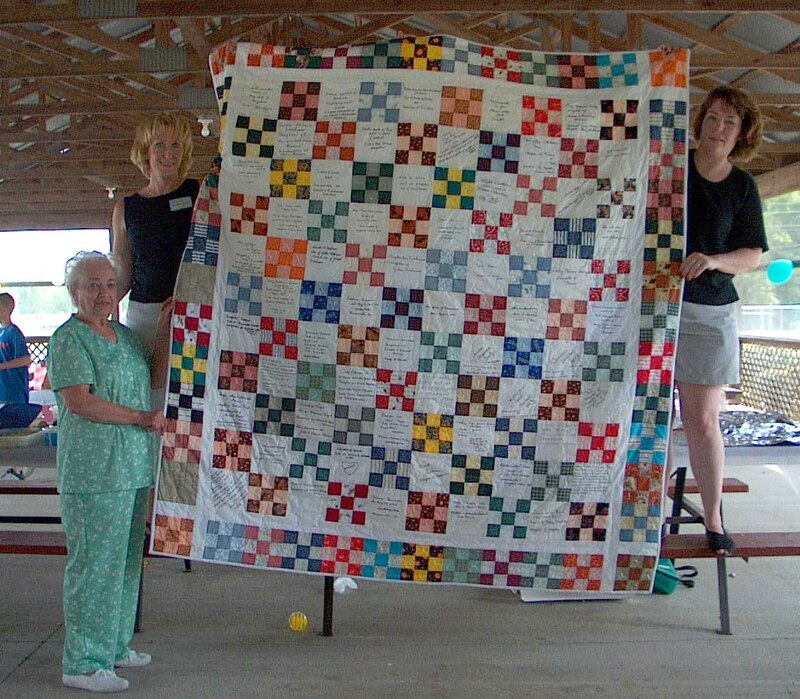 She was ready at any time to give sewing instructions, to share a pattern or give pointers on quilting or crocheting. She would gladly give out her cooking recipes or any other skill she possessed. When Jerry and I traveled in our motorhome for several years and would visit her occasionally, she wanted to hear all about our latest adventure. Her eyes would light up when we told her of the places we traveled. When I wanted to know about crocheting she pulled out her stash of books and gave me not only her advice, but the written instructions and needles so that I could make some of the pieces she had enjoyed making herself. Of course, as most everyone knew, quilting was one of her obsessions for so many years. She made them skillfully for friends, family and charity. And there were also the curtains she sewed for the needy to be distributed through St. Vincent de Paul Society. When they called to say there was a family in need, she responded by putting her sewing skills into gear to help the less fortunate. 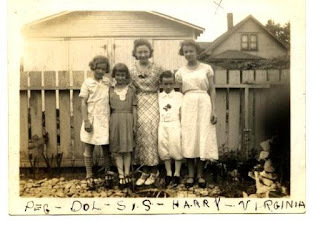 Another important facet of the family history writing is giving additional life through photos. Aunt Peg immediately opened her albums and shared whatever I wanted to assist in that respect. That’s when we were able to gather Uncle Shad’s WWII Army history and mementos. Her memories of the war years were so interesting and personal. She told of her experiences in following Shad to various training sites in California, Texas and Georgia before he was shipped overseas. And she generously included her feelings about the hardships of being married through those times. As we looked through her photos, Peg had sketches for me of years of experiences. How she and my mother, Rose, shared certain traits. How she enjoyed her job at Stokely Van Camp. How her sister, Dolly, shared quilting joys with her. 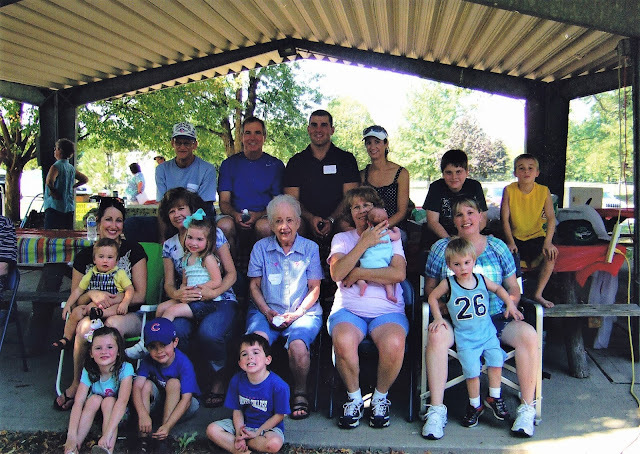 And on and on….. She filled in the gaps in my knowledge of early years in her life, as well as sharing her joys with current grandchildren and great grandchildren. I gained valuable insights about our family and the happenings that make the story complete. I’m so happy that Peg chose to make these differences in my life and in all of our family. I feel that she left a lasting mark. See Weber History in left column also.